Product replica cufflinks are a fun and whimsical way to get a brand noticed. 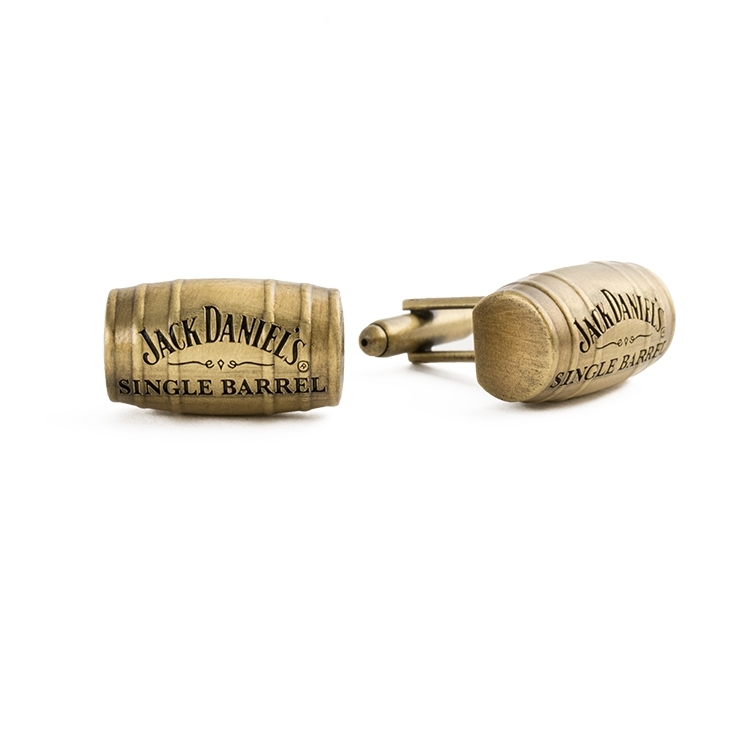 These antique brass plated 3D alloy Jack Daniel's Barrel replicas prove that custom jewelry can be fun and memorable. Made from lead free materials and plated in your choice of finishes our custom jewelry is created based on your creative designs. Call today and let's get creative.